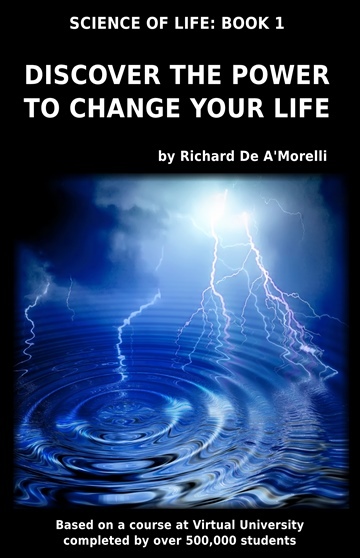 Discover the power to change your life and achieve your highest goals. A limitless reservoir of energy lies dormant within you, waiting to be awakened. This book reveals time-tested techniques for unlocking that power in day-to-day living, such as rhythm breathing, deep relaxation, visualization and meditation. It also explores how your thoughts affect your physical and emotional well-being, and how to deal with seeds of karma planted in your spiritual garden long ago. Based on a popular course developed for Virtual University that has helped more than 500,000 people change their lives, each chapter in the book offers an inspiring mix of anecdotes and simple techniques you can use to unlock the dynamic power of the mind to attract success and happiness, dispel negativity, promote wellness, and live your life to the fullest. Written by one of the world's top psychics who dropped out of sight in the 1990s to embark on a soul-changing life journey, this book is the author's first work since his return to book writing, and the first in a new Science of Life series exploring how to apply the power of mind and universal principles in everyday life.